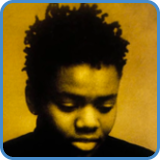 Tracy Chapman‘s ‘Fast Car’ was one of three massive hits from her self-titled debut album. The other two songs, ‘Baby Can I Hold You’ and ‘Talkin’ About A Revolution‘ firmly cemented Tracy as the world’s favorite busker. My one guitar version of ‘Fast Car’ varies slightly from how Tracy play the riff. Instead of moving up the neck, I found a way to play it using open position chords. 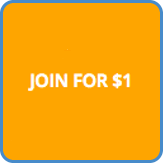 The two video lessons demonstrate how. Take the intermediate course and I’ll reveal how Tracy does it as well. The chords in ‘Fast Car’ are simple, using only chord IV – I – VI – V on a loop over the seemingly never-ending verse. 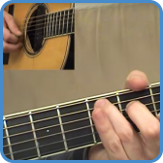 Apply a capo to fret 2 and you’re actually in the key of A, saying that, you want to think of it as if you’re in the key of G.
You might have noticed that my version look different from Tracy’s version. Tracy Chapman plays this song further up the neck. 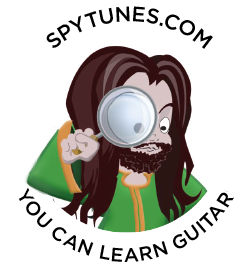 I found it easier to play the same part using open position chords. 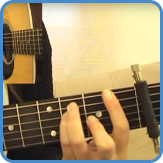 The part can also be adapted to using an open G tuning, or alternatively, a dropped G tuning. 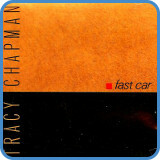 Find out more in the intermediate guitar course where we study ‘Fast Car’ in depth, including how Tracy plays the part.